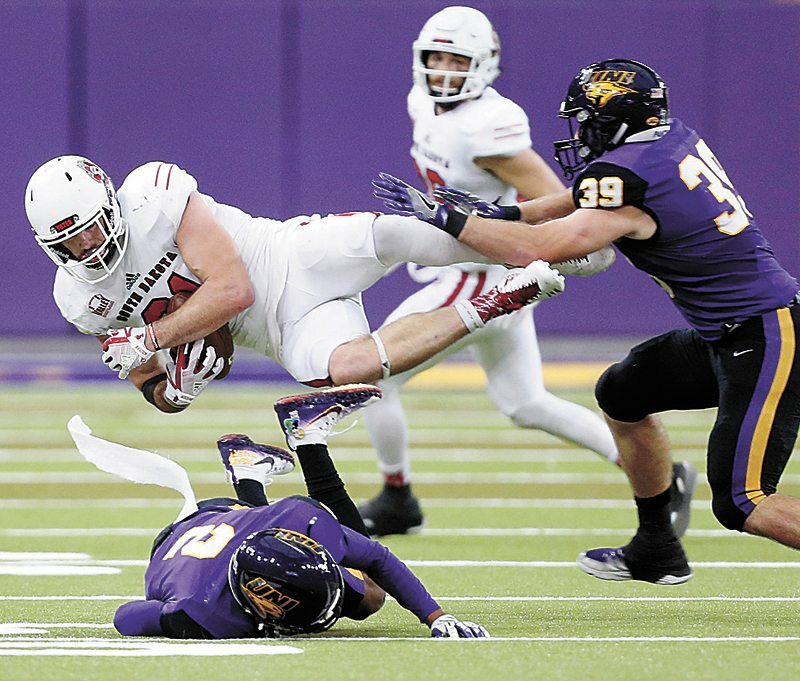 AP PHOTO • Northern Iowa’s Malcolm Washington and Duncan Ferch, right, tackle South Dakota’s Brett Samson during during a Missouri Valley Football Conference game Saturday at the UNI-Dome in Cedar Falls. Dunne passed for 228 yards and two TDs and Weymiller finished with 69 yards on 24 carries. Linebacker Duncan Ferch led the Panther defense with 13 total tackles.